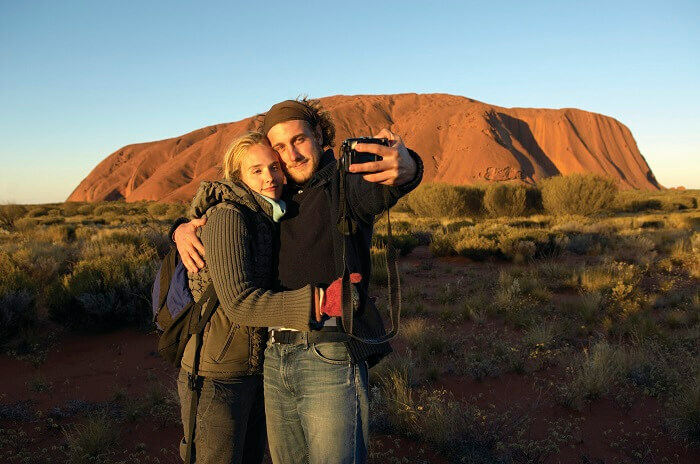 Get to know Australia’s most recognizable landmark up close and personal on this one-day adventure that takes you into the heart of the Red Centre. During the day, you’ll get to explore the unique landscape, taking in incredible attractions and learning about the rich cultural heritage that imbues the site. 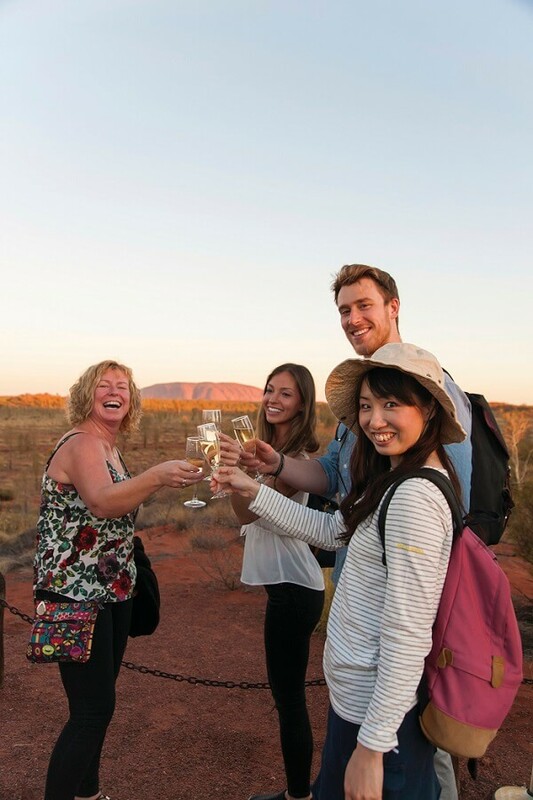 Finally, enjoy a glass of bubbles as you watch the sun go down over The Rock on the Uluru Sunset Tour. 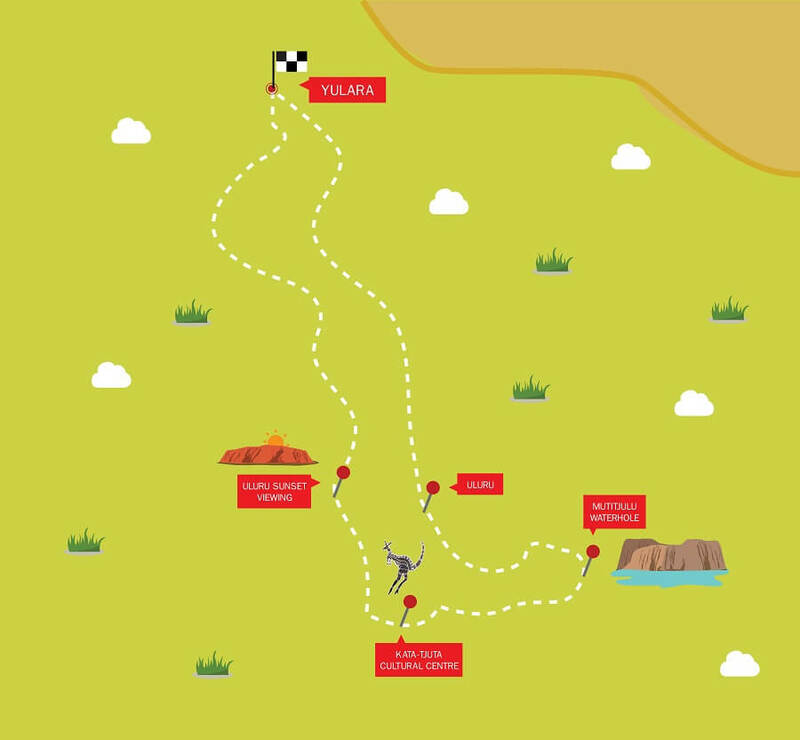 Please Note: All adult passengers must purchase an Uluru National Park Ticket, which is compulsory whilst travelling within Uluru. 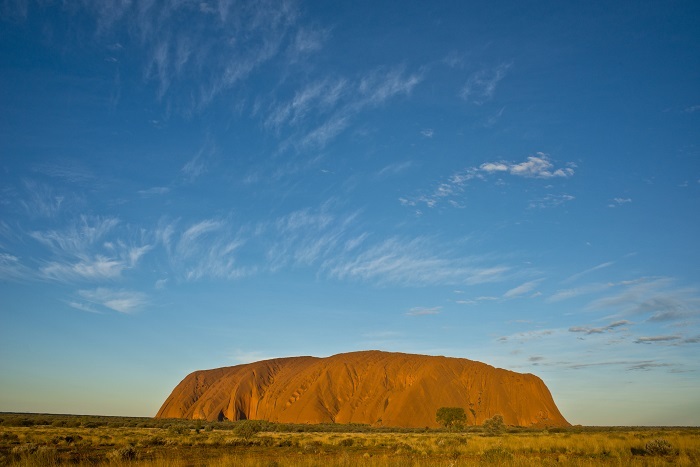 This ticket is valid for 3-day of travel within Uluru and is a cost of $25 per adult and $12.50 per child. Tickets can be booked through our online booking engine, by calling our booking office or on the morning of travel. 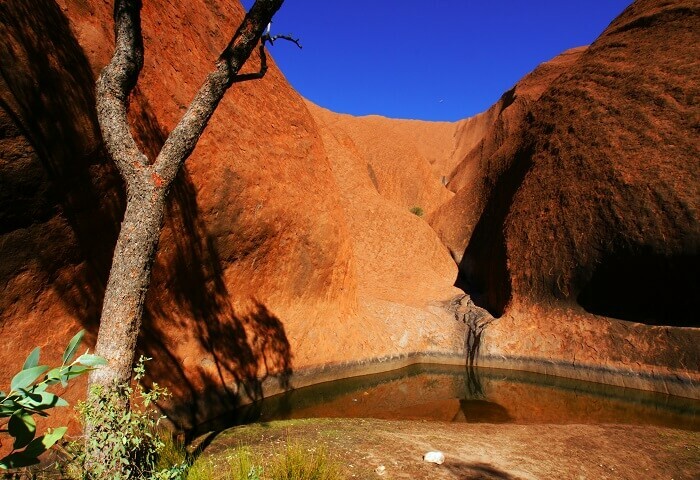 The day begins with a coach tour around the base of Uluru, where your guide will offer snippets of information about the monolith’s geology and its fascinating Aboriginal history. Afterwards, we’ll make our way to Kuniya Walk where you can stroll along to the famous Mutitjulu Waterhole. Here, you can spot incredible Aboriginal rock paintings and learn more about the spiritual past of the region. 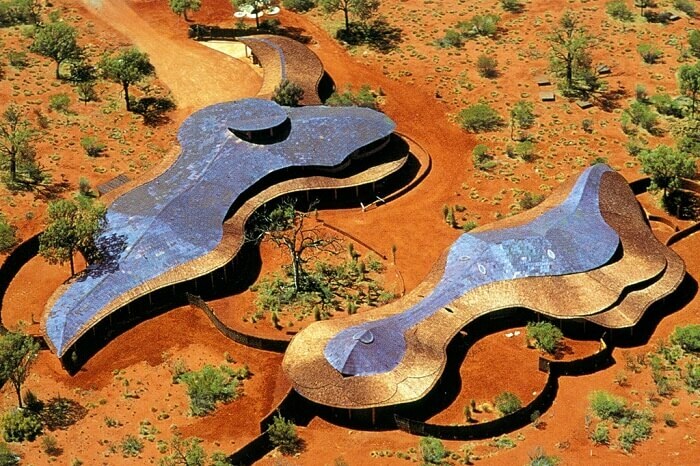 We’ll then move of to the Kata Tjuta Cultural Centre, where you can browse the beautiful collection of ceramics, paintings, and woodwork that hint at the region’s past and the heritage of the Anangu – the traditional custodians of Uluru. It’s then on to the main show at the Uluru Sunset Viewing area. Keep your eyes peeled on the way for majestic camels making their way across the arid desert. Once we arrive at the viewing point, we’ll serve up a delicious selection of local wines and nibbles while you get acquainted with Uluru at this magical time of day. We’ll stay and watch as the sun turns the monolith from a bright gold to a dusky pink and, finally, and inky shadow, before we head back to reality.